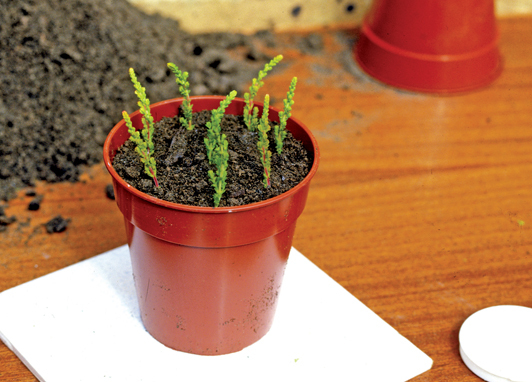 If you are thinking of taking stem-tip heather cuttings then look no further than our simple guide. 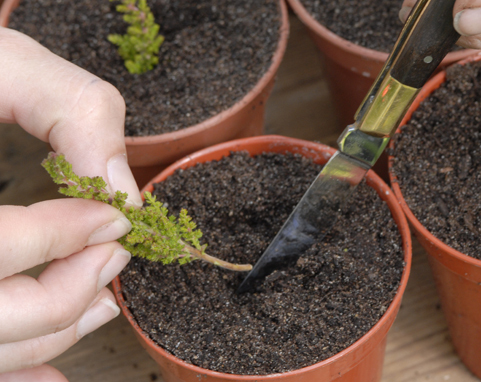 Summer is the season for taking stem-tip cuttings of heathers. Our Amatuer Gardening expert shows you how to go about it in six easy steps. Remove a strong, healthy, non-flowering shoot with clean secateurs, cutting straight across the stem about 4in (10cm) below the tip. 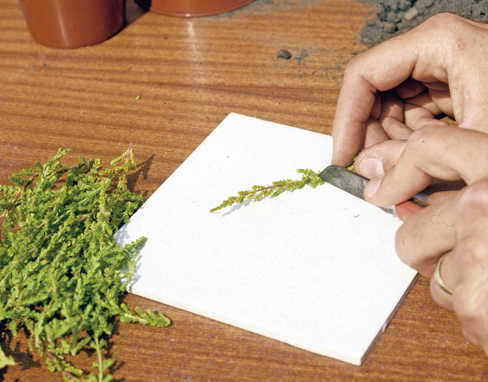 Then use a sharp knife to trim the cutting to 2in (5cm) long. Strip leaves from the lower third of the cutting. 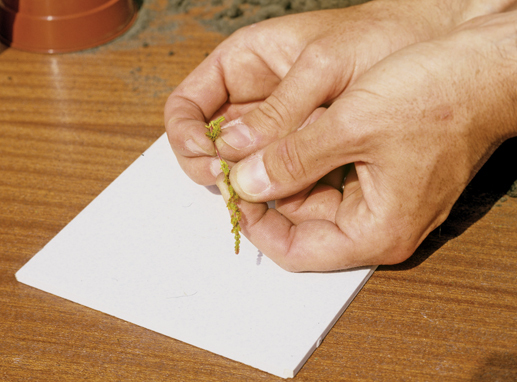 Some gardeners like to pinch out the tips of the cuttings too, this can be helpful to encourage a bushier cutting, but it is not essential. 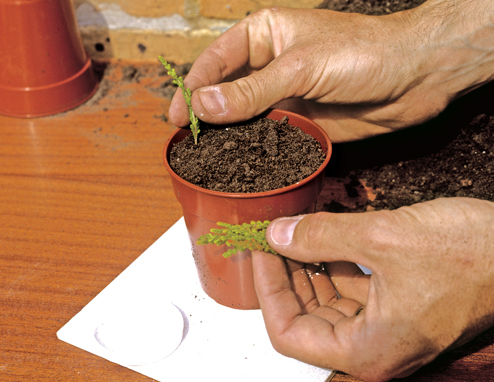 Hormone rooting powder is not essential, but the later in the season the cuttings are taken, the quicker rooting may take place if it is used. Dip the ends first in clean water, and then in the powder. 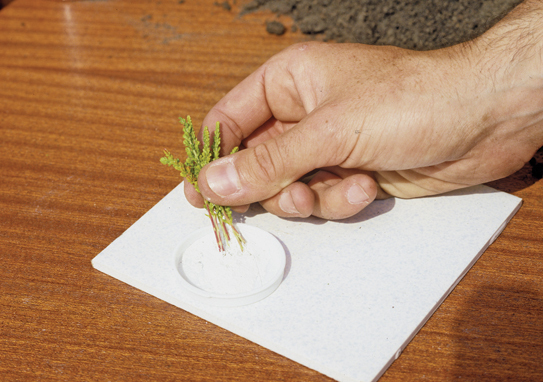 Good luck with your cuttings – if you are successful why not leave a comment and tell us how it went.